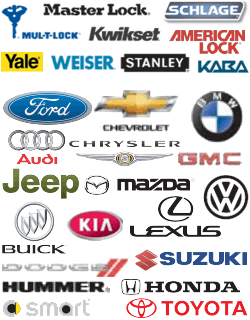 24/7 Laser Cut Car Keys Service In Georgetown Texas - We Come To You! 24/7 Laser Cut Car Keys Service In Georgetown Texas - We Come To You! If you need locksmith services for your vehicle, look no further than the exceptional automotive locksmith services from Georgetown Locksmith Pros. We’re a 24-hour company, so you never have to worry that we won’t be available. Our mobile units are supplied with the hi-tech machinery needed to provide drivers with on the spot laser cut car key replacements and duplications. Without us, you would probably end up wasting half of your day going to the car dealership to spend a ridiculously high price for them to cut you a new key. Instead, one of our local experts will arrive at your location within half an hour and quickly make you a new laser cut key, all for an affordable and upfront price. By focusing on this winning combination, we seek to maximize the value we provide for every dollar you spend with us. We want you to be able to count on us and we take great pride in our reputation as your most trusted locksmith company in Georgetown. When we come to replace a lost, stolen or broken key, or make you an extra key, you can count on us to do the job right the first time. There also won’t be any surprises either. We’ll give you the cost of our service right up front. You just don’t know when you’re going to need a highly skilled and experienced emergency locksmith. That’s why we make ourselves available 24/7. As fully mobile locksmiths, we’ll come to you. That way, you won’t have to pay extra for a tow truck to bring you to our shop to get your keys out of your locked car. Laser cut keys are not just something out of a Fast and Furious Movie. They are used by many people and offer a multitude of benefits that regular keys don’t. For example, they are thicker than other keys and have a winding slit at an even depth that goes through the center of the key. Also called sidewinder keys, they have slits on both sides so owners are able to insert them into car locks from either direction and they will still work. Laser cut keys are much stronger than an ordinary key so they last longer. Plus it is much more difficult for a thief to make an unauthorized copy and it is nearly impossible for a criminal to pick a lock connected to a laser cut key. Another great feature is that these keys typically contain transponder chips that must be programmed to work with your specific vehicle. If your key needs to be reprogrammed, we can do that too! All of these extra security measures are great, but also make it more difficult to find technicians with the tools and skills to provide you new keys when needed. Not to worry! If you are driving in the Georgetown Texas area, you can also call one of our friendly customer service reps and you will be able to get a new laser cut key in no time. All of our locksmiths are fully licensed, bonded, and insured, so you can rest easy while we’re in your home, at your place of business, or with you on the road. Our business is locally owned and operated, and we’re proud to be a part of your transportation needs in Georgetown. We’re ready to help whenever you need us. To take advantage of all we have to offer, give us a call today. You’ll be glad you did. 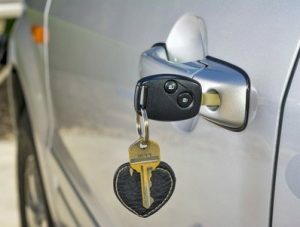 Laser Cut Car Keys https://georgetown-locksmith.co/automotive/laser-cut-car-keys/ 4.2/5 based upon 5 reviews.